To minimise the use of precious metals, microprofile bi- and tri-metal tapes evolved. Tri-metal tapes in particular allow the use of minimum thicknesses of precious metal whilst maintaining good current carrying ability. 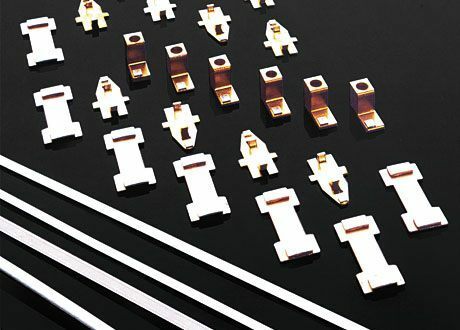 Market demand to minimise the use of precious metals led to the evolution of microprofile bi-metal and tri-metal tapes. STL manufactures continuously seam-welded and diffusion-bonded materials, each rolled, drawn and shaped to our customer’s specified profile. The product is supplied layer-wound on reels either with or without paper interleaving. STL can also supply components whereby the microprofile tape contact is welded in-house to the customer design requirement. Often we can advise the best technique and microprofile tape to use, to reduce cost by using special contact alloys such as AgCd, AgCu, AgSn oxides.